The Illinois Supreme Court has appointed Judge Freddrenna M. Lyle to the 5th Subcircuit vacancy created by the retirement of Judge Jane L. Stuart. The appointment is effective September 5 and will terminate December 5, 2016. This is Judge Lyle's third appointment. The Supreme Court first appointed Judge Lyle to a 2nd Subcircuit vacancy in 2011. She currently serves pursuant to appointment to the Taylor vacancy in the 7th Subcircuit. Before joining the judiciary, Judge Lyle served as Alderman of Chicago's 6th Ward. The Supreme Court also appointed Assistant State's Attorney Eve M. Reilly to the 10th Subcircuit vacancy created by the retirement of Judge Garritt E. Howard. Reilly's appointment is effective August 29 but it, too, will terminate on December 5, 2016. Reilly has been licensed in Illinois as an attorney since 1997. Northern Trust Bank to stop handling IOLTA accounts: Beginning of a trend or isolated incident? The letter I got from the Northern Trust was confusing. The bank wrote that it will no longer offer IOLTA accounts "without you or your firm having an additional relationship with us." Additional relationship? My office checking account is there. My personal checking account is there, too, and my savings account, and my IRA and a couple of Northern Trust Funds accounts besides. This must be a mistake, I thought, so I called the man who wrote the letter. I called a more general number. "Oh, yes," the woman said when I'd explained myself. "We didn't explain very clearly what we meant by additional relationship." She explained that the Northern Trust is looking to drop IOLTA accounts except -- maybe -- for customers keeping a minimum of $2 million on deposit. Oh. I started adding up account balances in my head -- and realized that, even with everything put together, I'm generally about $1.95 million short. As the nice lady from the bank and I were talking, I pulled up the list of eligible institutions maintained by The Lawyers Trust Fund of Illinois to see where else I might go. 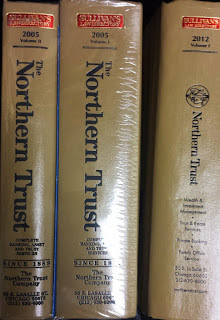 "Yes, the Northern Trust is still on the list," the lady acknowledged when I mentioned this, "but not for long." 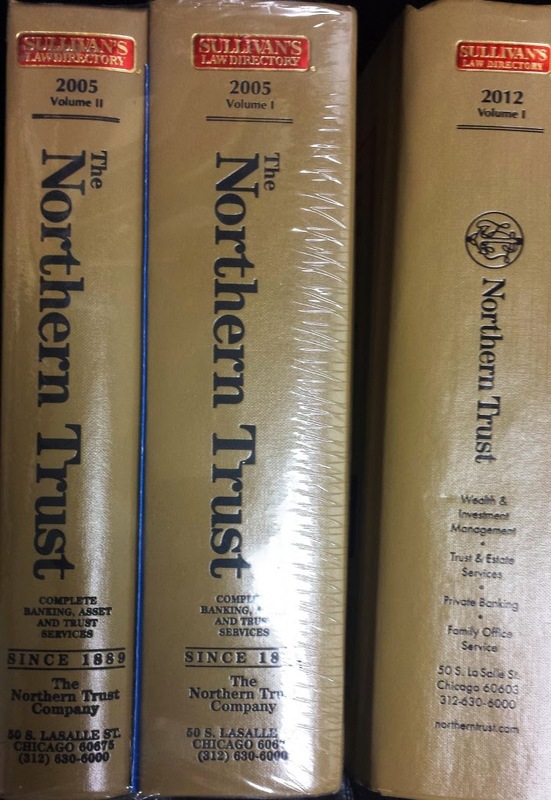 There was a time when the Northern Trust actively sought out lawyers' accounts... and not that long ago. Still, James J. Grogan, ARDC Deputy Administrator and Chief Counsel, was not surprised when I told him what the Northern Trust had told me. "We've gotten quite a few calls about this," Grogan said. He suggested I talk with David T. Holtermann, General Counsel of the Lawyers Trust Fund of Illinois. Holtermann wasn't surprised either; LTF has also received a number of phone calls from concerned lawyers. LTF was "blindsided" by the Northern Trust's announcement, Holtermann told me. "We didn't hear from the bank before the letters started going out," he said. But, he added, LTF has put a link on its website just this week, providing an update for lawyers concerned about their Northern Trust IOLTA accounts. This page will be updated, Holtermann said, as new information becomes available. IOLTA accounts are different from the typical, modern bank account in several ways. Account holders pay no monthly maintenance fee for IOLTA accounts, but most other checking accounts come with at least a monthly maintenance fee that the customer must pay. Customers have to get at least copies of canceled checks drawn on IOLTA accounts -- front and back -- but many checking accounts these days provide only copies of the fronts of checks, if copies of checks are provided at all. The Lawyers Trust Fund website specifies that IOLTA accounts are supposed to pay 1% interest. Try and get that rate, low as it sounds, on any other demand deposit. Moreover, banks that offer IOLTA accounts are required to inform ARDC whenever there is an overdraft in an IOLTA account. I asked Holtermann whether IOLTA accounts have become so different that banks are becoming unwilling to deal with them. Is Northern Trust the harbinger of a trend, or just an instance of a bank changing directions about the kind of clientele it wants? "Only the ARDC reporting requirement is fairly new," Holtermann told me in response, adding that, despite some initial concerns from LTF's banking partners, there have been no real issues about reporting. "We have close to 400 banks that handle IOLTA accounts in Illinois in any given year," Holtermann continued. "This number of banks has remained fairly constant despite the massive consolidation in the banking industry in the past several years," he said, although "in any given year there will be some ebb and flow." We can't predict the future, Holtermann said, but there's no reason to see this action by Northern Trust as the beginning of a trend. There certainly is reason to believe that other banks will not follow the Northern Trust's lead. With roughly 400 participating banks (even after the Northern Trust's defection) it seems pretty obvious that a lot of banks value IOLTA accounts because they value lawyer business. Presumably, these many banks find that any administrative inconveniences in managing IOLTA accounts are more than made up for in good will and other business that lawyers can bring. LTF was established by the Chicago and Illinois State Bar Associations in 1983. 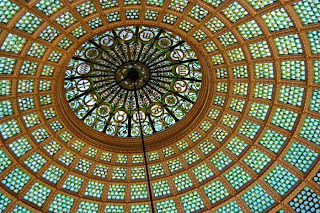 The Illinois Supreme Court subsequently designated LTF to administer the IOLTA program and make grants to support the provision of legal aid throughout Illinois. Today LTF uses proceeds from the IOLTA program and funds generated by the annual Legal Aid Fee assessed on active Illinois lawyers at the direction of the Supreme Court in order to make grants. In 2013, Holtermann said, $6.47 million was generated by the Legal Aid Fee. Only $2.27 million was realized from IOLTA. 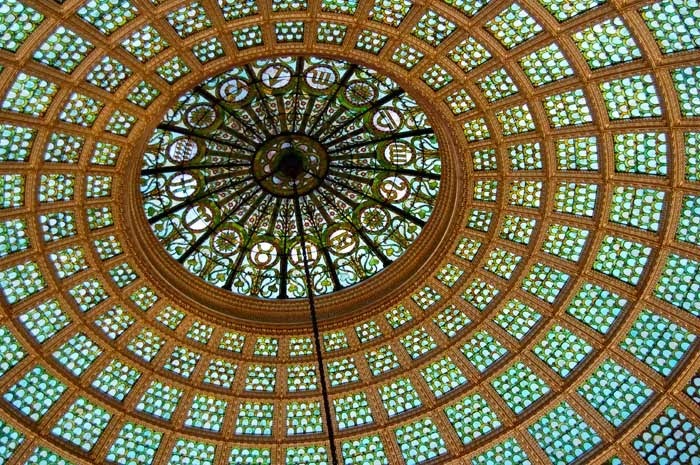 The Committee for Retention of Judges in Cook County will host its 2014 Reception Honoring Retention Judges on Monday, September 8, from 5:00 to 7:30 p.m. in the Preston Bradley Hall at the Chicago Cultural Center, 78 East Washington Street. This has traditionally been the one and only fundraiser for retention judges generally and it is has traditionally been very well attended (that's 'very well attended' as in sardines-in-a-can crowded). Individual tickets are $125, and sponsorships are available -- Silver, $1,000 (which includes five admission tickets); Gold, $2,500 (10 tickets); or Platinum, $5,000 (20 tickets). Wine, beer and appetizers will be served. Entertainment will be provided by The Vazquez Jazz Ensemble, featuring Attorney Mark T. Vazquez and Associate Judge Gregory P. Vazquez. For more information, or to order tickets, call P2 Consulting at (312) 854-8018. Tickets can also be ordered online at the Retention Judges website. Full Disclosure: If I can scrape up the scratch, I intend to buy a ticket to this event. Aleksandra Nikolich Gillespie, an Assistant State's Attorney based in Skokie, was named by the Illinois Supreme Court yesterday to fill the countywide vacancy created by the death of Judge Michael J. Howlett, Jr.
Gillespie's appointment is effective August 22 and terminates on December 5, 2016. Gillespie was an unsuccessful finalist when Associate Judges were selected earlier this year. She has been licensed as an attorney in Illinois since 1993.